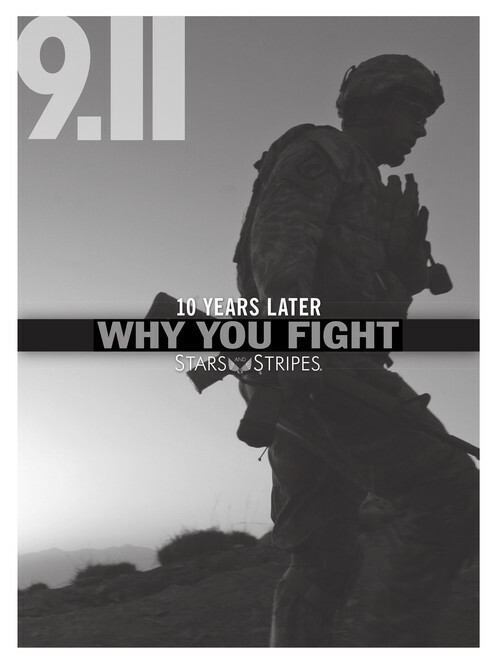 On September 11, 2011, ten years after the terrorist attacks on the United States, Stars and Stripes published Why You Fight. This publication is a compilation of stories from Stars and Stripes readers about themselves, their brothers and sisters, their husbands and wives and their friends; all members of the armed services who stepped up to fight the war on terror. These stories are personal and the people in them all made profound sacrifices to help protect their stricken nation.